Automotive businesses now face greater difficulties in predicting and responding to changes in customer demand. The “new normal” for both original equipment manufacturers (OEMs) and the many companies that make up their supply chains is increasingly characterised by volatility both in terms of overall demand and a growing desire on the part of consumers for customisation. While fluctuations in general demand for new motor vehicles are the result – at least in part – of broader economic volatility, there are industry-specific factors at play. New routes to market such as direct online sales have only served to increase the public’s appetite for vehicle personalisation, for example. This change in the landscape means that today it is much harder for OEMs to predict demand levels with any significant level of confidence. This problem is made worse by the fact that the global recession at the end of the last decade resulted in a sharp decline in production capacity in the automotive industry – so it is no longer an option simply to rely on an excess of supply capacity to meet upswings in demand. As such, OEMs which cannot cope with changes in demand face problems ranging from disruptions in supply to a loss of profits due to their failure to deliver what the market expects of them. 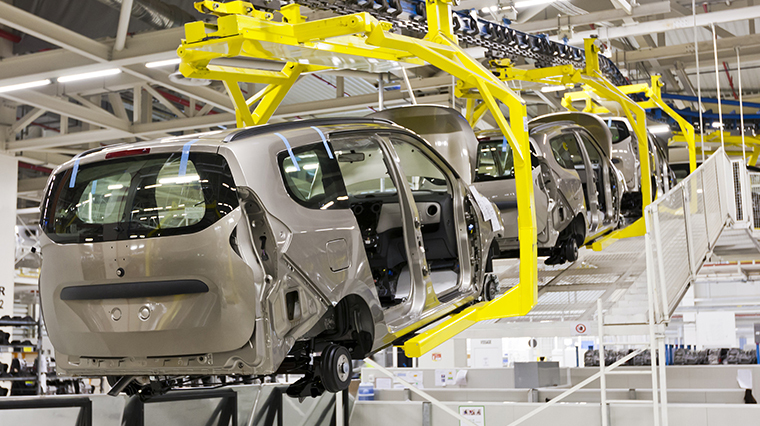 So what steps can automotive businesses take to ensure that both they and their supply chains are best placed to meet fluctuating customer demands? From a logistical perspective, perhaps the most important step a company can take is to ensure its inventories are managed as efficiently as possible. This could involve anything from ensuring the business has full visibility of stock levels and locations, to matching storage capacity to actual requirements – and thereby avoiding carrying excess stock. While OEMs should make every effort to forecast demand levels over coming months and even years, the volatility we have discussed means that this approach is unlikely to suffice. To complement their forecasts, businesses must also engage in intelligent response management. This may involve certain key staff within the organisation being tasked with anticipating or reacting to changes in demand – and being given the authority to implement instant changes in areas such as supply contracts. Another crucial element in meeting changes in customer demand concerns the relationship between OEMs and their supply chains. Leading automotive businesses are increasingly focusing on reducing supply-chain risk – by improving visibility, for example, and ensuring that suppliers have the financial and organisational capacity to meet changes in demand in a timely fashion. A number of OEMs are moving from strictly contractual relationships with suppliers to a model that involves far closer financial and operational collaboration. In this way, manufacturers can be confident in the financial health of their suppliers as well as their ability to respond quickly to demand fluctuations. Close financial and operational ties may also have the side-effect of allowing suppliers to learn about, and benefit from, the best-practice approaches adopted by their larger customers. Automotive businesses have faced much more volatile demand over the past decade as a result of changes in the market and in consumer behaviour. Failure to cope with changes in demand could result in shortages and loss of profits. The most successful manufacturers understand the importance of working with the companies in their supply chains to manage demand fluctuations.